Previous years customers enter into a cafe and restaurants to spend the quality time and have a good quality tea or coffee. Today Cafe’s and Restaurants are more of a co-working space, hangout zone with friends and a business meeting point. Startup founders and youngsters today find these neighborhood cafes convenient and cost effective to use as an office or meeting point. The most important factor for all restaurants and cafe is offering “Free Wi-Fi”. 72% of cafe or restaurant today offer’s free WiFi. On the other side for a cafe owner providing free WiFi hotpot is a way to increase business but also a security risk and additional internet bandwidth cost with some additional marketing tools. Kloudyy System takes care of both these issues. Firstly, while registering for wi-fi customers need to fill the registered mobile number for verification through OTP. So that if someone did something incorrect on your network you should be able to trace them with the IP Address. 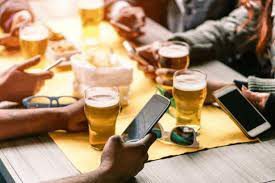 Secondly , we provide an online portal where a restaurant owner can control and manage every aspect of their WiFi such as speed limitations for each customer or checking out who is using how much of free internet. Kloudyy does not provide an ordinary system but a very useful and advance WiFi Hotspot which helps Restaurant, Cafe or any other business to create secure Guest Hotspot and increase their business with branding and many other marketing tools.